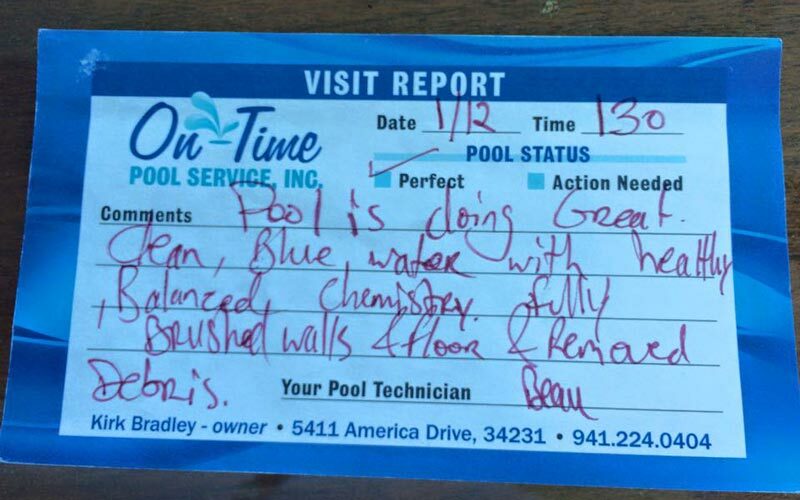 On-Time Pool Service’s main goal is to insure your swimming pool is clean, clear and healthy every day of the year. 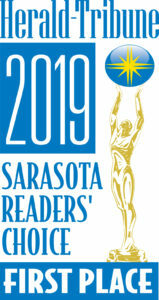 We are certified by the Sarasota County Department of Health, are covered by Workers’ Compensation Insurance, liability insurance and are state licensed pool contractors. 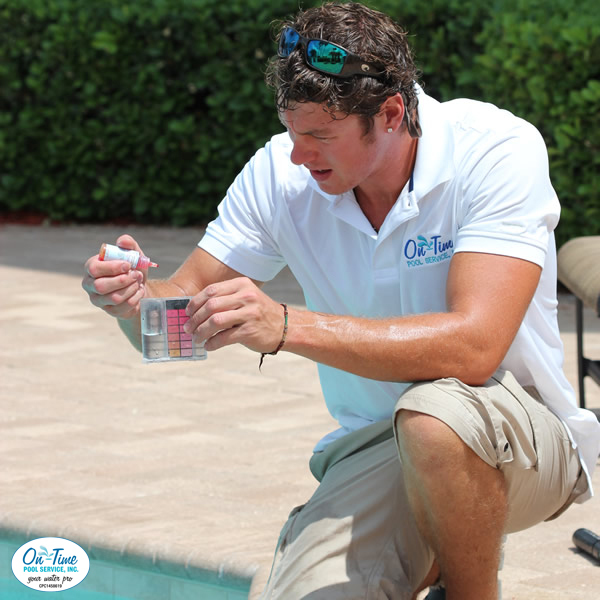 Call us today at (941) 224-0404 for your free pool consultation. 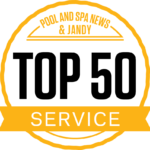 Or learn why you should hire On-Time Pool Service, Inc. by clicking on the Top 10 Reasons page. 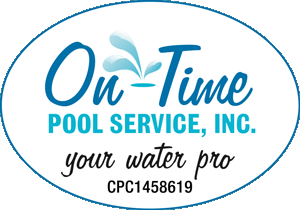 Get more quality time in your swimming pool by choosing a dependable weekly pool cleaning service for your home. Contact us today to schedule a free consultation.